Update: Book has been officially released. Find it either at Packt or at major online bookstore retailers. My new book just became available for pre-order. Due to the great feedback received from the previous edition, I am releasing a new and improved version to the Dynamics CRM Customization book. 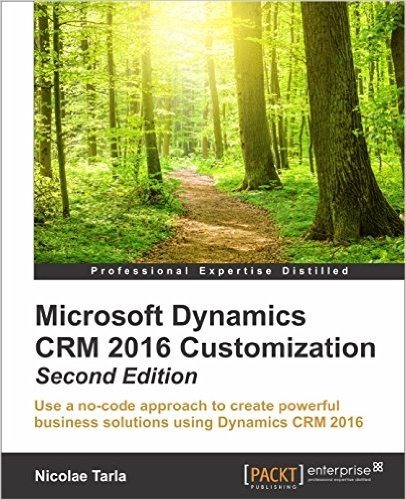 This new edition includes coverage of the newly added features up to Dynamics CRM 2016.